Manila Metblogs » What’s with the Wilcons? 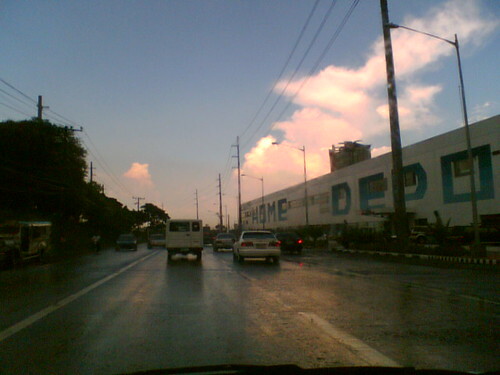 Driving along Alabang-Zapote Road in Muntinlupa, one cannot help but notice two gargantuan Wilcon Home Depot buildings just a couple of kilometres apart from each other. Not to mention a smaller Wilcon Builders Supply store just beside the Shell station in Almanza, Las Piñas. So what’s with the Wilcons in the area? Right, a number of residential communities are now being developed in the south. Along Daanghari Road in Alabang alone, I could count at least four subdivisions being developed. (I could be wrong… there could be more.) Then there’s also the Alabang Home Depot to compete with the Wilcons. Wow, home-building supply stores are surely making money in the south. I just hope that in the future, when the population in the area grows, they could also do something about the traffic. Everyone’s starting to live South of Manila! This is great news for the developers in Alabang I guess? I do agree that I hope they’re planning the future of the city. Maybe 10 years from now the Skyway won’t be enough to handle traffic?